We'll be using hardware serial by default, that uses the UNO's hardware pins #13, #12 and #11. You can also use software SPI so you don't have to locate the hardware SPI pins! 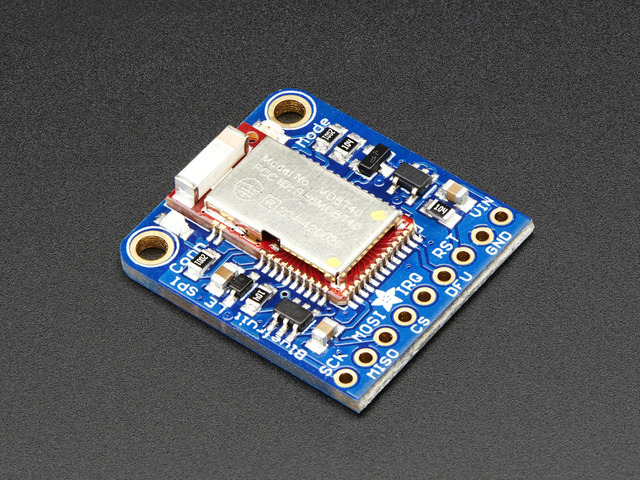 In order for the Bluefruit LE SPI Friend to be 5V-Safe, the VIN pin must be connected to 5V on the Arduino. If you wish to run the board with 3.3V logic, you can optionally connect VIN to 3.3V, but this should not be done on a 5V Arduino. For all the example code, we have at the top of the sketch a few different ways you can communicate with the Bluefruit LE: hardware serial, software serial, hardware SPI and software SPI. For the SPI Bluefruit, you cannot use serial. However, you can choose between hardware and software SPI. This guide was first published on Jul 07, 2015. It was last updated on Jul 07, 2015. This page (Wiring) was last updated on Apr 20, 2019.